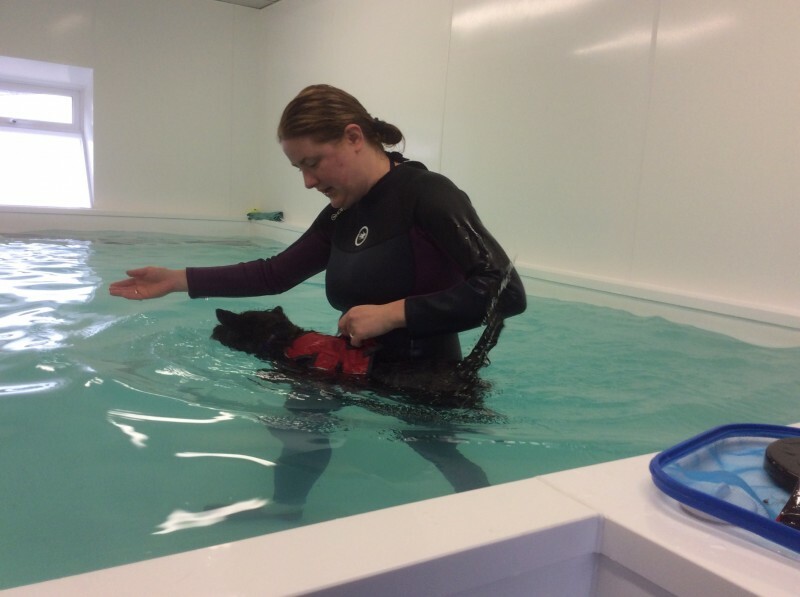 Happi Days Hydrotherapy & Rehabilitation offers a range of complementary therapies to help your dog heal post-injury, surgery or to maintain body condition. 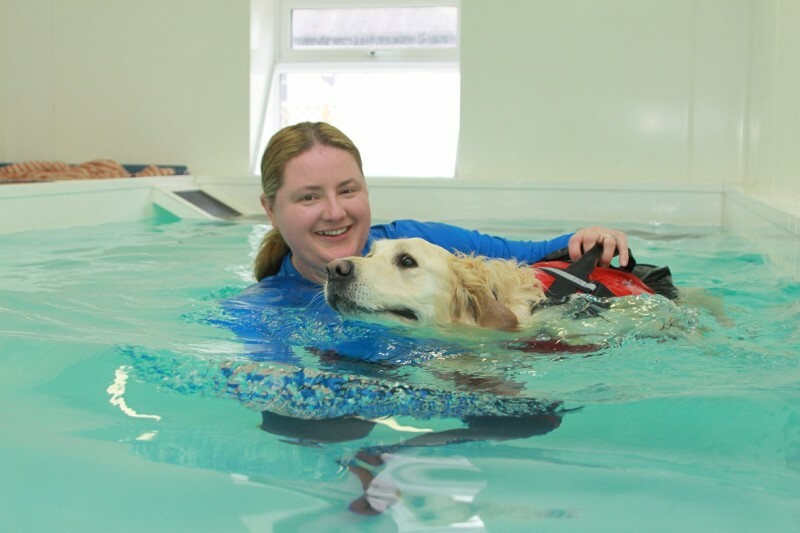 Hydrotherapy is a non-weight bearing exercise which takes place in a specialist pool. It aids your dogs’ recovery from surgery or injury, improves conditions such as arthritis, hip and elbow dysplasia, ligament damage and muscle strain. It can also be used to strengthen muscles and improve fitness levels. All dogs need to have a Vet Referral before they can swim. Members of the Canine Hydrotherapy Association. Lisa Warrington is a a fully qualified Veterinary Physiotherapist, she uses physio to reduce pain, restore mobility following surgery or injury and strengthen muscles. Both centres have fully stocked pet shops, with products including treats, toys, food, beds, collars and leads, etc. Items can often be ordered in at request. Established in 2008 Happi Days has come on from strength to strength. We have created more playgrounds, more sofa areas and fenced an area of woodland for your pets enjoyment. After being a dog walker and boarder for so long I (Helen) knew the time was right to communicate with our local council to get a new dog crèche licence written to be unlike a kennel. After a lengthy negotiation with the council, a number of vet inspections and a lot of flooring, fencing and painting work we got the go ahead! 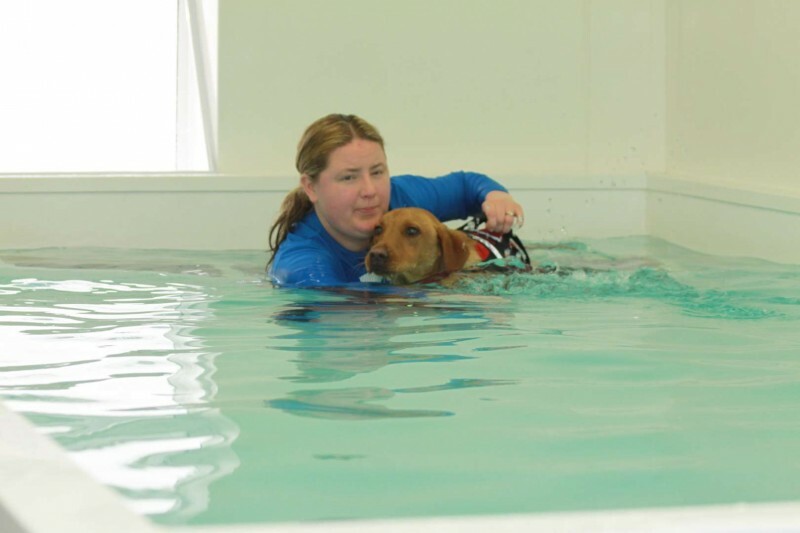 Eight years of experience later, we now can offer three locations, Rendlesham day care and grooming, Eyke for the longer holiday boarding for the overnights and Martlesham for the day care, grooming and Canine Hydrotherapy Association endorsed Hydrotherapy suite. Our staff are all full time so they know all of the individual characteristics of each canine client that uses our crèche. 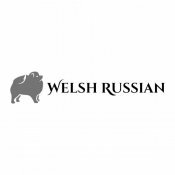 We encourage further education with our staff: most have grooming tuition and canine first aid under their belts and many have dog training and nutrition qualifications. All are highly experienced, and having a low staff turnover you can be assured the dogs are with people that they know and that know them well. Happi Days is Suffolk's first bespoke dog day care facility. Based near Ipswich and Woodbridge, with centres in Rendlesham and Martlesham, and overnight accommodation in Eyke.